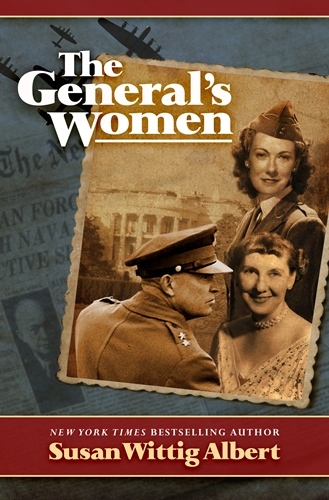 A compelling story of love, betrayal, and ambition by New York Times bestselling author Susan Wittig Albert, The General’s Women tells the story of two women--Kay Summersby and Mamie Eisenhower—in love with the same man: General Dwight Eisenhower. A NYT bestselling author, Susan's books include biographical fiction (A Wilder Rose 2013, currently under film option; Loving Eleanor 2016; and The General's Women 2017). Her mystery fiction includes the bestselling China Bayles mysteries; The Darling Dahlias; the Cottage Tales of Beatrix Potter; and the Robin Paige Victorian/Edwardian mysteries written with her husband, Bill Albert. Working together, the Alberts have also written over 60 young adult novels. Susan's most recent nonfiction work includes two memoirs: An Extraordinary Year of Ordinary Days and Together, Alone: A Memoir of Marriage and Place. Her earlier nonfiction work includes Work of Her Own, a study of women who left their careers, and Writing From Life: Telling Your Soul's Story, a guidebook for women memoirists. That book led to the founding of the Story Circle Network in 1997. 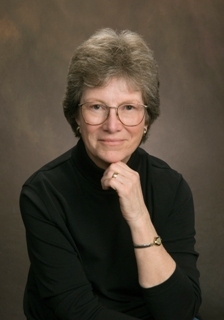 She has edited two anthologies for the Story Circle Network: With Courage and Common Sense (2004) and What Wildness Is This: Women Write about the Southwest (2007). She currently serves as editor of StoryCircleBookReviews and co-coordinator of SCN's Sarton Women's Book Awards. For more information, please visit Susan Wittig Albert's website. You can also find her on Facebook, Twitter, Pinterest, Google+, Goodreads, Amazon, and BookBub. That sounds like a great historical fiction novel - something that would be right up my alley!